Celebrate the spirit of the West with the Buffalo Wall Decor. This printed and hand-painted canvas features a black-and-white image of a buffalo standing among sagebrush in the plains with mountains in the distance. A grey floating frame completes the look. 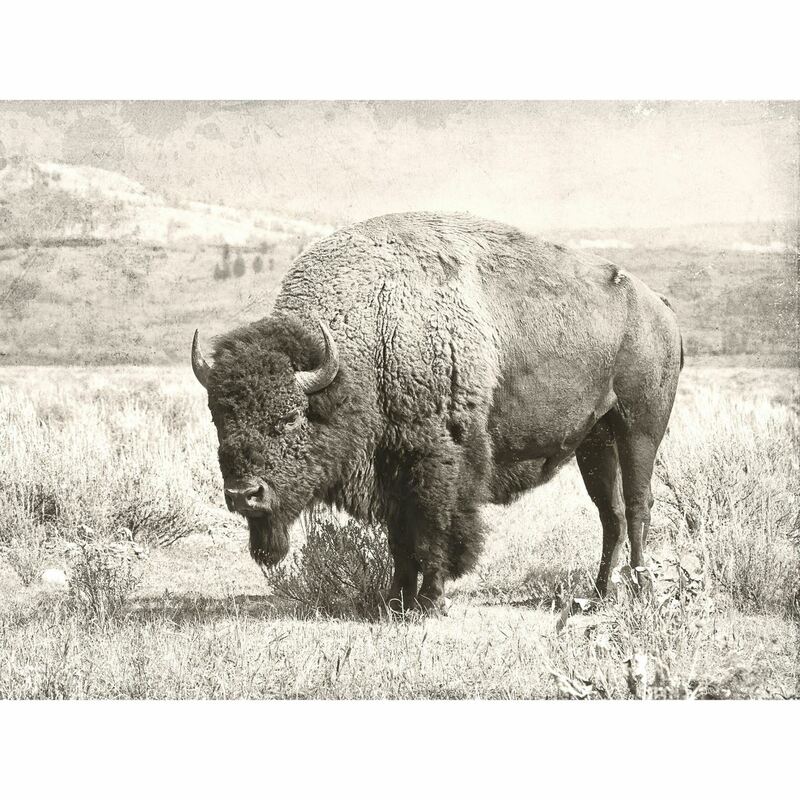 Celebrate the spirit of the West with the Buffalo Wall Decor. Printed and hand-painted canvas with grey floating frame.